Start Advertising Submit your banner and reach hundreds of thousands of players today. 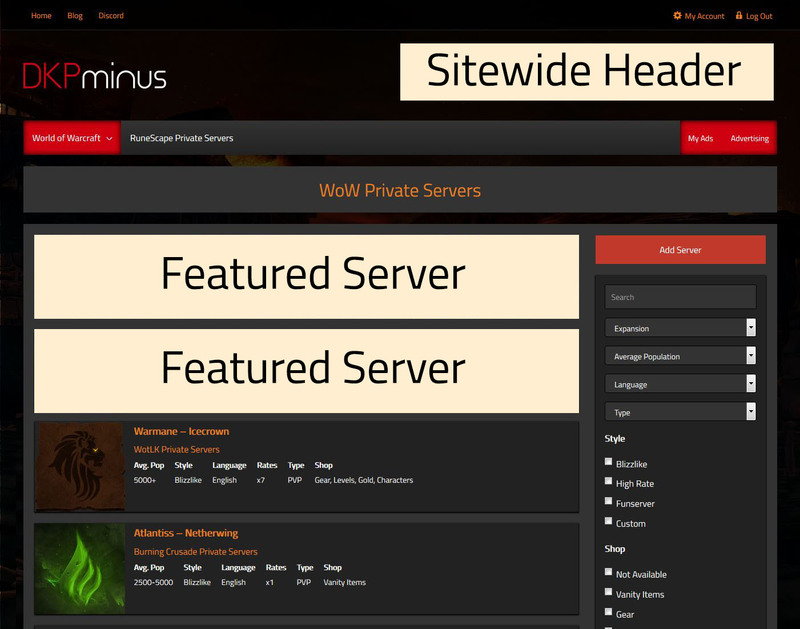 At DKPminus we have offer the lowest rates for WoW private server advertising with the best results possible. Your advertising spots will have maximum reach to find new players for your server.